Perth Dog Rehab was established in 2018 through Dr. Trevor's passion for rehabilitating animals back to health through drug-free treatment options. He has become Australia's first Vet Surgeon that is also a qualified hydrotherapist. 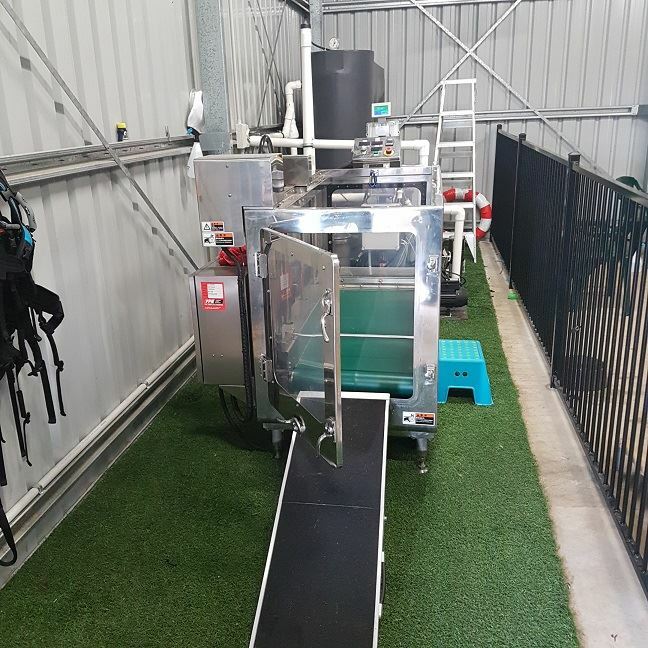 Being accredited with the Australian Canine Rehabilitation Association (ACRA) he and his team can assess, plan and carry out a rehab program that is individual to your dog's needs. Hydrotherapy works by training the limbs to walk against resistance, aided by buoyancy provided by water and flotation & harness devices if required. Underwater Treadmill machines unlike swimming pools, allow for precise & controlled loading on painful areas of the body. We use a dedicated filtration system that ensures water clarity and thermostat controlled water heating for optimal muscle growth and comfort. 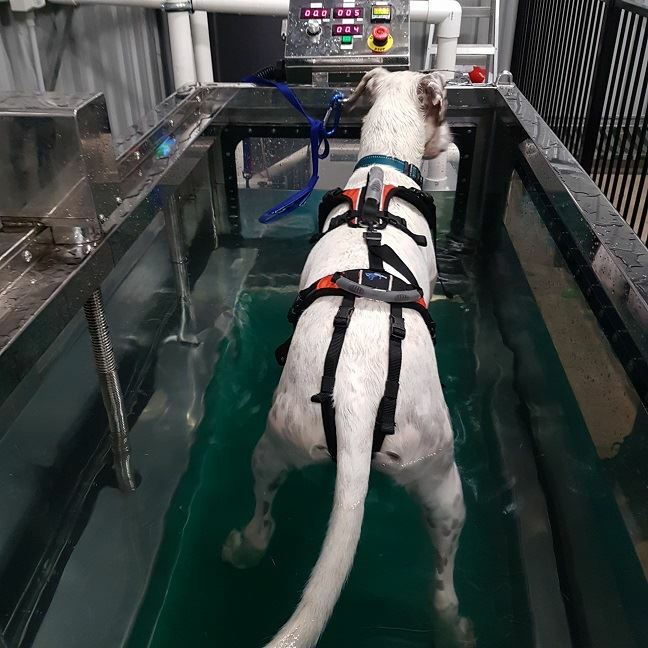 Re-educating the nervous system in the limbs and spine known as "proprioception"
A veterinary assessment is required before dogs can start Underwater Treadmill therapy. This can take up to 45 minutes so please allow enough time. You will need to organise a valid referral from your vet/specialist to be sent to info@perthdogrehab.com.au prior to your appointment.